Every once in awhile, a children’s book comes along that whisks you away to another world–and if you’re very lucky, at the end of the story, it’s one that also illuminates your own. Liesl & Po extends a delightful invitation to wizardry and adventure, but it’s also a gentle and poignant rumination on love and loss. 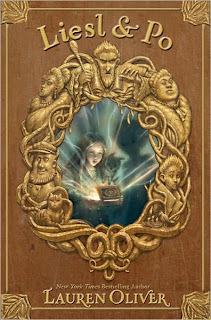 Not at all as mannered or as self-conscious as Breadcrumbs, which ultimately showed its seams a little too much, this fairy tale adventure is tripping with charm and written with exceptional intelligence and sensitivity. The author’s note indicates that the book was written in just two months following the sudden death of her best friend, and the extraordinary love behind that inspiration hovers wistfully over every page. …he had imagined it perfectly: how he would come around the corner and see that tiny square of light so many stories above him, and see her face floating there like a single star. My heart swells up with ineffable love for this book, which has instantly found its place beside classics such as Peter Pan and The Secret Garden–and yes, it really is that good. Between the dizzying adventures and the sly cleverness of the writing and the quiet emotion, Liesl & Po reminded me especially of Mary Poppins in a huge way—particularly in the moments when you catch a fleeting glimpse of something bigger than your own story and your own self. A Note About the Book: I’d highly recommend obtaining the hardcover of this book if you can. The cover is gorgeous (click on the cover to enlarge and see for yourself!) and there are wonderfully simple pencil drawings throughout by Kei Acedera, some of which can be seen on the author’s website here. It will make a spectacular gift for the right person for the holidays. Mwark. 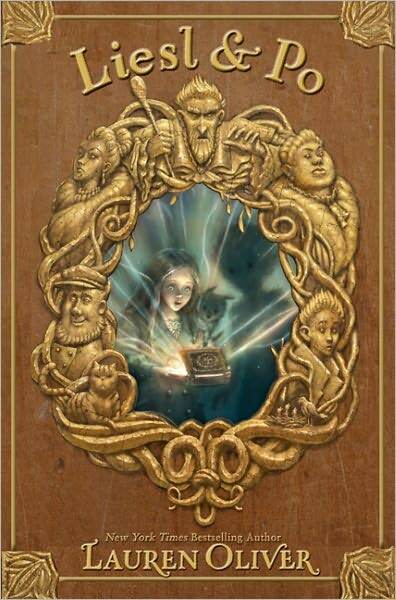 Recommended for fans of classic children’s/middle grade literature, fans of Harry Potter, and fans of Catherynne M. Valente. The Friday Society: ARC giveaway! I loved this book as well, and I would have included it it my top ten if it wasn’t for the fact that I already had two other Oliver books on my list! I also agree that the hardcover copy is jaw-dropping-ly beautiful. Oliver is truly a talented writer and I have thoroughly enjoyed each and every one of her books! I love this review, the book sounds great and definitely one to add to the list. I’ve had this one since May but you have just made me move it up the TBR pile. It sounds wonderful! fantastic review! it makes me want to pick up the ARC (which is taunting me by being right next to me) and avoid homework until i’m finished. This book looks wonderful, Wendy!